Many successful writers have kept a journal – from Virginia Woolf to David Sedaris, to C.S. Lewis and Anaïs Nin. Life is inspiration for all writers, and how better to process it for use in your own writing than to experience it, then write aspects of it down as a reference and inspiration for the future? Taking note of your thoughts and feelings, anecdotes from your day, events that have occurred, and conversations you have overheard are all excellent material for you to look back on. These journal notes could provide you with the seed of a story idea, the building blocks you need for a character, or an emotion you’d quite like to explore further in your writing. You’ll be amazed at just how inspirational and insightful your personal journal can be for your fiction or non-fiction writing. Journaling can create a positive feedback circuit between your conscious and unconscious mind, where the writing down of your thoughts and feelings piques your own interest, and fuels you to continue. It can also help to empty your mind of all other current thoughts, leaving your head clear to concentrate on your writing. Keeping a journal is the perfect way to use your own experiences and turn them into publishable material. If you’ve not yet started a journal, but would like to give it a try, we’ve gathered some tips together to get you started. Those who enjoy the journaling process are more likely to stick at it, and therefore more likely to reap the rewards of it. So, encourage yourself to journal by choosing a beautiful notebook such as a Paperblanks journal, and using your favourite pen. Allocate a set time each day to writing in your journal, but don’t fret if you miss a day or have to change the time. Create a relaxing atmosphere in which to write your journal; if clutter distracts you, tidy your writing space before you begin. Let others know not to disturb you until you are done, and switch your phone off. Add pleasure to your journaling routine: play some relaxing music, or enjoy your favourite hot drink. 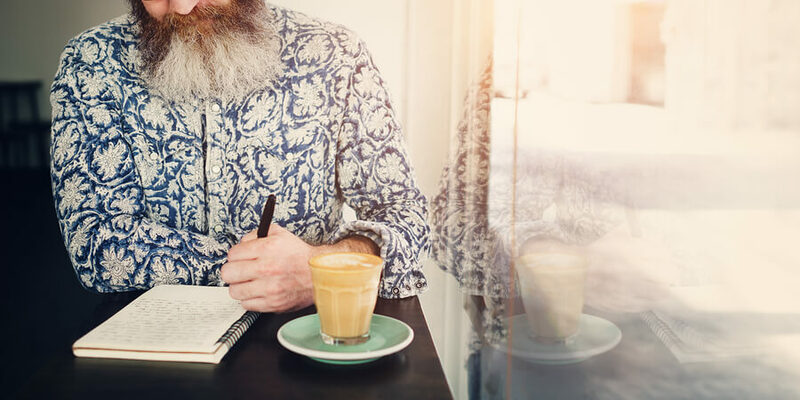 If you like, try journaling in different places, to see where suits you best – perhaps a local coffee shop, a bench in a park, or various rooms in your house. Don’t worry about what you are writing. Let the thoughts and words flow, and do not impede them by editing as you go along. Resist! The best journals are raw and truthful. Wishing you happy and fruitful journaling.